- Expandable from 11 to 15 L. Includes security strap. Toll pass holder. - "Plug & play" installation in just 3 minutes. 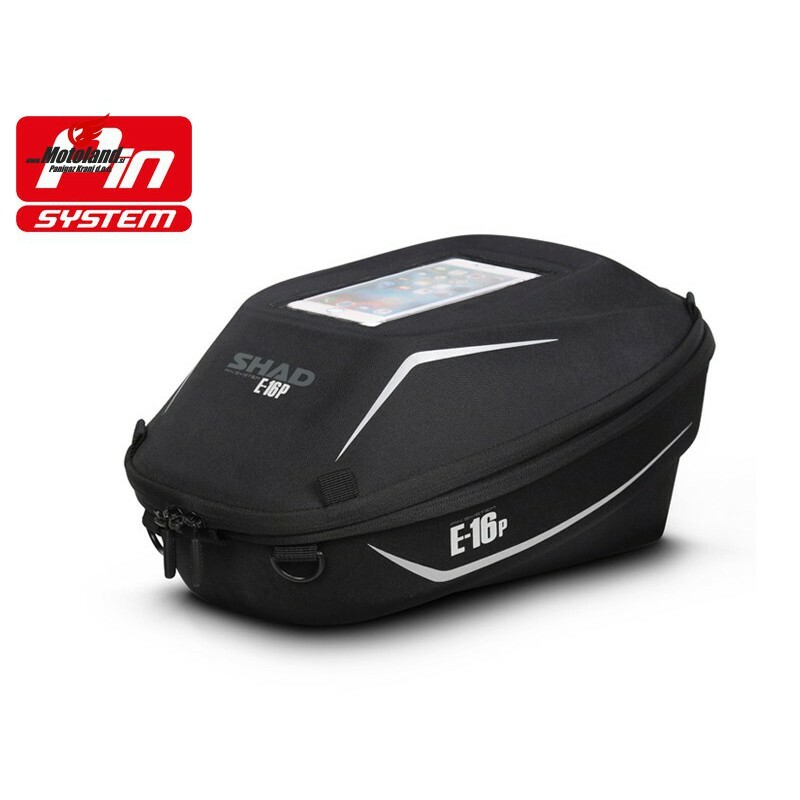 - Adjustable in 4 different positions for maximum bike & rider integration. - Reflective graphics for improved visibility. - Semirigid structure maintains shape when empty. - Integrated design, doesn't interfere with the aesthetics of the bike. - Mobile phone holder with touch screen up to 5,5” and charger outlet. - Inner mesh pocket. Lockable & glove friendly zippers. - Shoulder strap & padded handle for comfortable transport.